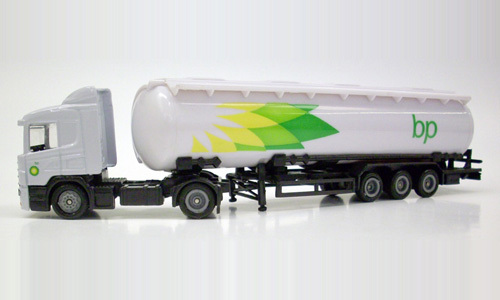 Take the proven appeal of model trucks and add the extra impact of a quality scale model. 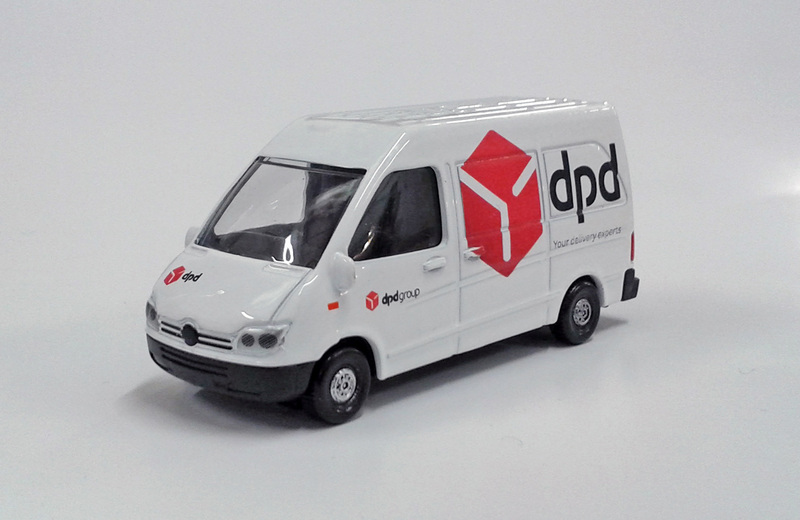 Choose from an exclusive selection of models, from panel vans to big trucks, carefully produced with the experience of ADTRUCKS with your artwork – and you have a sure recipe for a successful promotion! Scroll down the page to review your options, and choose the best option for you. 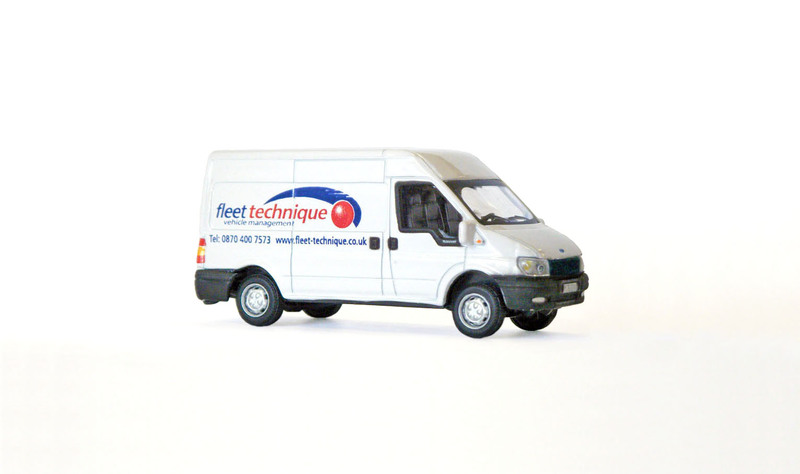 The ever popular Ford Transit van is now available to choose from in two scales, 7cm / 3 ins long (ref C17) and an impressive 12cm / 5 ins long 1.43 scale version (C18). Print area C17: 35 x 15mm + rear doors, lower sides, cab doors and front. C18 1/43 scale: 58 x 25mm side panel, rear doors, bonnet, cab doors. When a Ford van doesn’t work for you, we have the option of our generic panel van also available in stock. 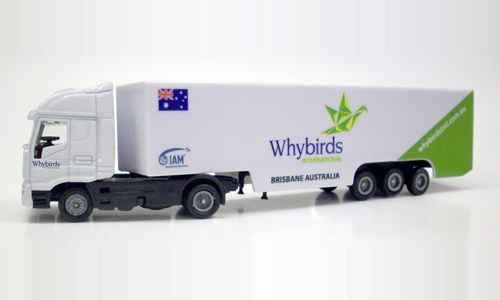 9cm long with right-hand drive and high roof giving a good branding area. Print area: 40 x 20mm + lower sides, cab doors, bonnet & rear. Available in white or can be re-coloured to your requirements. 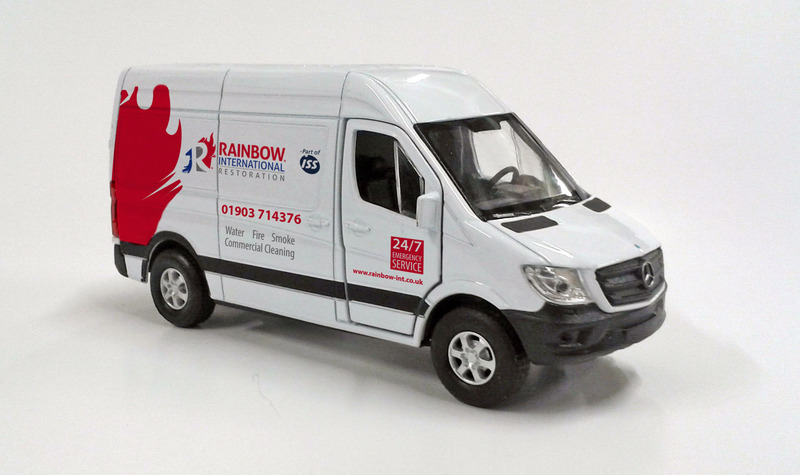 Make a bigger impact with this impressive Mercedes-Benz Sprinter Van. BRAND NEW MODEL, 12cm long. 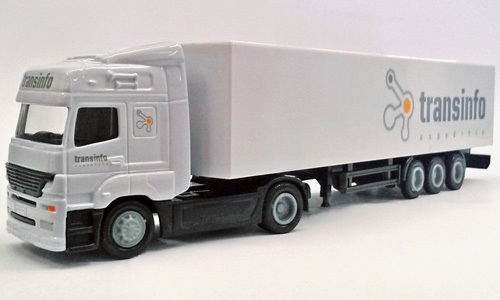 Choose from the ADTRUCKS selection of modern trucks, all well detailed in 1.87 scale, 19cm / 7.5 ins long. Print area is a big 145 x 29mm each side plus rear doors and cab, so the promotional opportunities are enormous. Each model comes attractively packed in a clear plastic presentation box. 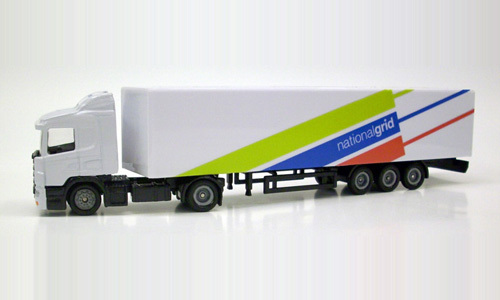 Make a bigger impact with this impressive truck – 26cm / 10ins long, in 1.64 scale, superbly detailed and just right to present your graphics. Good print areas on sides: 205 x 38mm, also rear and cab available for branding – ask for details with your artwork now, it’s surprisingly affordable! 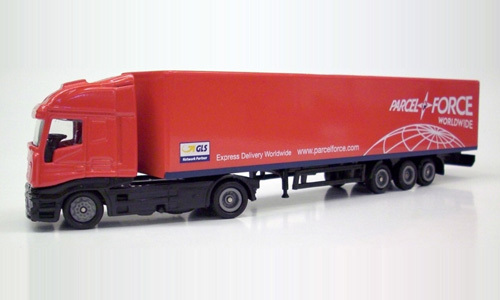 Rely on the experience of the specialists in promotional model trucks.